In March 1862 civil war in North America brought about an engagement between the Union's “Monitor”, mounting two heavy guns in an armoured revolving turret, and the broadside-armed Confederate ship “Virginia” (ex-frigate “Merrimack” cut down and iron-plated) known as the Battle of Hampton Roads (also known as “the Battle of the Monitor and the Merrimack”) in the first engagement between ironclad warships. 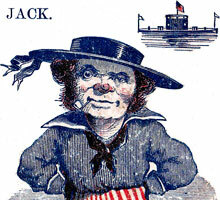 The battle lasted four hours without inflicting serious damage and with only one casualty, but heralded the beginning of a new era of ironclad warships rather than wooden ones. 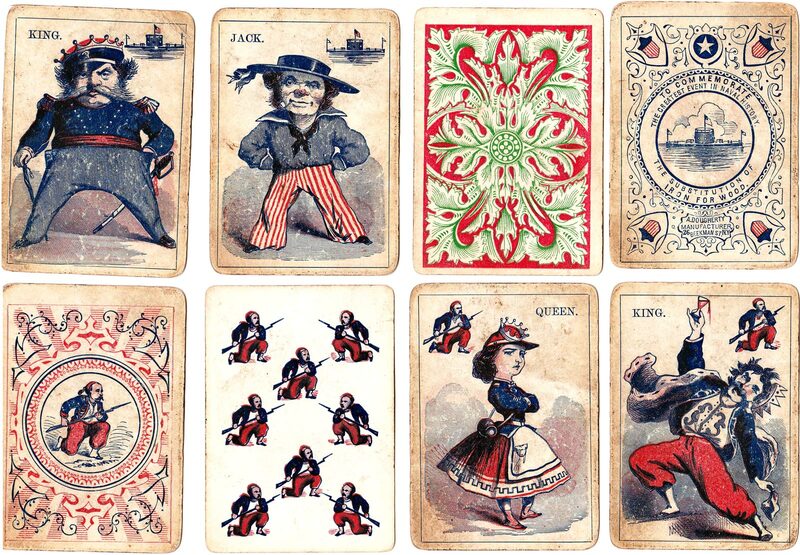 Above: Andrew Dougherty's “Army & Navy” deck from the Civil War era, c.1865. 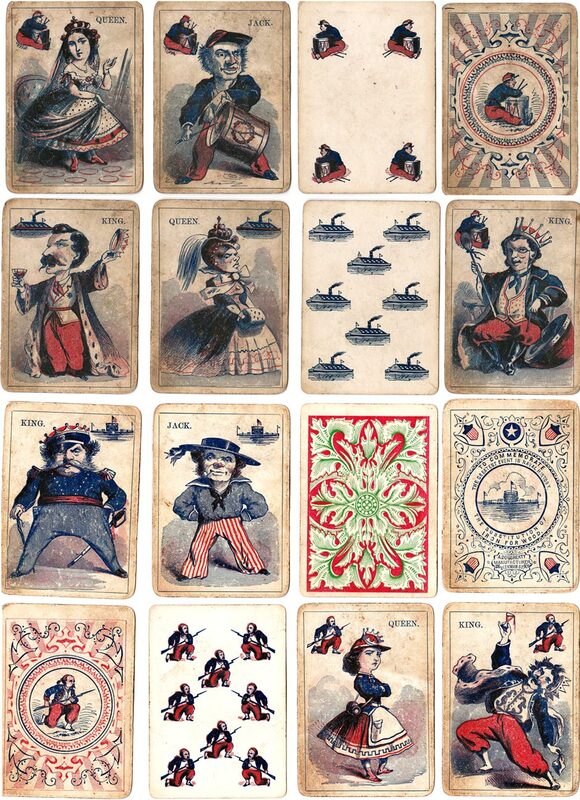 The cards have no indices and are printed in red/blue/black only with a green/red back pattern. Images courtesy Jay Recher.